this phone's battery is great. I used it heavily last night wi fi and browsing and it stood for a long time. not sure about the Bluetooth thing though. I'm completely fed up with this phone. I brought agen my phone to the service centre yesterday bcos the phone heats up again. they told me they had to monitor it for 3 days then if they diagnosed that the problem is with the motherboard i will have to wait until next year to get this damn phone. so disappointed with Sony Ericsson. rohit, 07 Dec 2010Hey guyzzz cn u pls tell hw 2 update d android 1.6 to 2.1..........plzzzzz help.Connect your phone to the PC and install the PC companion into the PC. Open the PC companion in the PC, and goto support zone. You'll be directed to the software updating..
Ji.., 07 Dec 2010Stylus is not required since it is a capacitive touch screen.I'm using the phone since October 1st week and very much impressed with it, very much satisfied with the look and the performance of the phone. Never faced any crashing or hanging or heating issue. Now, it is upgraded to 2.1. If you see the price and the performance, this is the number 1 in this price range. For us Sony fans, brand name is a big thing, right..? Otherwise, we could've gone for some XYZ Chinese phones. I've used K700, K750, W810, W880, G900 before moving to this model. All the phones were superb at their time, and now the X8, really X8ed(excited) about this. Anybody moving to an Android smartphone, if you're not so keen on spending too much, this is the best model... Fully loaded, easy to hold, not paper thin phone, supported with Android OS. For your software needs, there is always the Android market. Hey guyzzz cn u pls tell hw 2 update d android 1.6 to 2.1..........plzzzzz help. gaurav, 07 Dec 2010anybody plz inform me does this phone contain stylus or notStylus is not required since it is a capacitive touch screen. 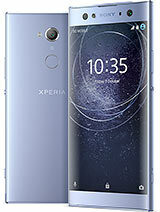 Dear my friends ..i planned to buy an x10 mini phone..
but when i saw x8 ,it is similar and price too much differance..
im in total confusion which one i should buy...since i want to buy it for my wife,she is not an expert in this type of mobiles..
After installing Memory Booster (from market) I found out that X8 has 184 MB RAM and not 168MB. So yea GSMarena please uptate your specs so that people see the phone for what it is, Eclair update also. This phone is good.2days back i have updated the Android version from 1.6 to 2.1. Anonymous, 06 Dec 2010I have 1 xperia x8. I buy on november and the gadget is runing good until now. For review x8 h... moreI have one, buy on November and very happy too. Still wait for Eclair update. 2-168 RAM(can be upgrades to foryo os,not more than that.